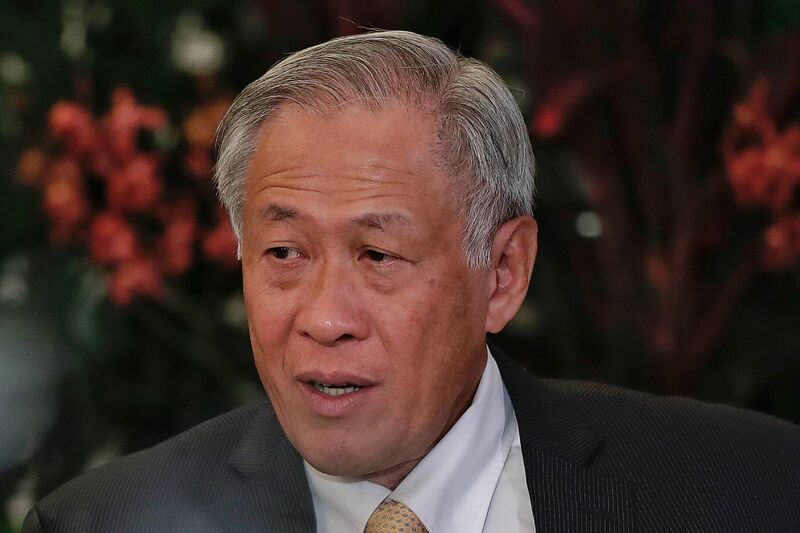 A panel of external experts has been tasked to review policies and measures on combat vehicle safety in the Singapore Armed Forces (SAF), following the death of a full-time national serviceman that has raised a number of questions, said Defence Minister Ng Eng Hen. In a written parliamentary reply yesterday, Dr Ng said the army is also reviewing the experience level and roles of the safety, supervising and conducting officers to further strengthen SAF training and safety outcomes. These moves are among the measures taken since the death of Corporal First Class (CFC) Liu Kai on Nov 3 from a vehicular incident in the Jalan Murai training area. CFC Liu, 22, who enlisted in April, died of his injuries about 25 minutes after the incident, and was given a military funeral three days later. He was a transport operator from the SAF's Transport Hub West. The SAF will continue in its efforts to instil a strong safety culture to achieve zero training fatalities, which can be achieved only if every soldier has an ingrained concern for the well-being of himself and his fellow soldiers. This will be emphasised to every commander and soldier. Dr Ng said these questions and other related queries will be fully examined by a Committee of Inquiry (COI) and the police investigating CFC Liu's death, and that Parliament will get a full account "when all facts have been gathered", as has been done for previous incidents. The COI is chaired by a civil servant outside of the Ministry of Defence; a consultant medical specialist; a member from the External Review Panel on SAF Safety; a senior-ranked national serviceman and a member of the Workplace Safety and Health Council. In the past three years, there was one other training-related vehicular incident that resulted in death, he said, replying to Mr Desmond Choo (Tampines GRC). It happened last year and involved Third Sergeant Gavin Chan. The 21-year-old, a vehicle commander from the 41st Battalion Singapore Armoured Regiment, was thrown out of the Bionix Infantry Fighting Vehicle that he was in as it overturned. Dr Ng said the SAF will continue to find ways to improve its safety systems and ensure the processes remain sound and robust. "The SAF will continue in its efforts to instil a strong safety culture to achieve zero training fatalities, which can be achieved only if every soldier has an ingrained concern for the well-being of himself and his fellow soldiers.